You might say that a pearly white kitchen is not a good choice for a city or suburb home. The great benefits might convince you otherwise. Here are 7 reasons why installing a white kitchen can be one of the best living place enhancements you can implement. White kitchens are constantly relevant and stylish. They are timeless in appearance. Flip through any interior design catalogues and you will find breathtaking kitchens in light palettes. Designers enjoy using various hues of white as they give an unlimited field for creativity, enhance interior with a spacious, fresh look and deliver more strategic advantages when compared to other palettes. A White palette is an excellent option for small kitchens. It can dramatically erase borders and sharp angles thus giving the room more air. If your kitchen doesn't boast plenty of space, consider using a lighter tone. White walls, kitchen cabinets and flooring look stunning and optically enlarge your kitchen. Another amazing asset of choosing white is the complaisance of style choices. Most palettes may restrict creativity but it's not the case with tones of white. 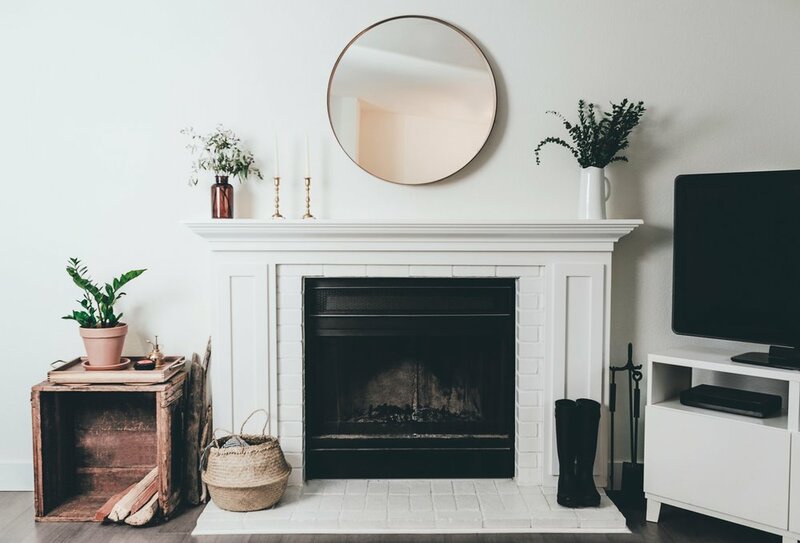 Everything you might want – contemporary, minimalistic, cozy or laconic Scandinavian – a white hue makes the interior feel compatible and elegant. It's a universally welcomed option, that willingly accepts any adjustments. A Light palette can make a big difference when we talk about expenses, and that is even more noticeable when redecorating big houses. Especially with the need to renovate more rooms besides the kitchen. Also white is considered to be a basic tone, meaning that painted furniture, lamps, textiles, sanitary ware or doors will come at a much more affordable cost than colored solutions. Glossy white cabinets look nice with various appliances. You can avoid overpaying for all your ware and furniture items and instead decorate to a more simple palette. You don't have to hire a professional designer – a light palette is easy to implement without help from hired workers. If you want to upgrade your home and save up some finances, consider going with this more basic palette. A White shade is an excellent foundation for any interior. With such a tone, any hues and items will look more expressive, vibrant and rich. Backgrounds of white will naturally draw glances to the colored objects & create a well balanced aesthetic. By the way, wood paired with a pearl color looks simply stunning. Do not forget that tones of white could also appear unique. It boasts an incredible amount of shades so you can always find something suitable: ivory, melted milk, egg shell, creamy, linseed, pearl, cream... we can go on and on. White hues make even the ordinary things amusing - like one of those food pics from modern cookbooks. Cooking in a white gallery is always amusing and entertaining. You would naturally want to spend time here. Besides a white color is relaxing and never distracts so you can even work or read while not eating in your gallery. Not really interested in a totally white interior? Since white is such an amazing hue to use as a base, it's more simple to tweak. So if you decide to add a new touch to your home a white kitchen is a stunning, inspiring and affordable choice!